Did you know that dogs can have allergies, too? Just like us, they can react badly to things like dust mites, pollen, and mildew! I always look for hypoallergenic dog beds and blankets that are easy to wash, waterproof, and made of allergy-free fibers. It’s not just good for my dog, but for my allergies, too! We love these choices since we know they work great for our dog’s sensitive skin issues. Not only can your dog rest comfortably on a bed all their own, they won’t have itchy scratchy skin issues or allergies acting up while they try to rest. In this article, we’re going to cover all the best types of hypoallergenic bedding for dogs! Check out our table for a quick guide to the beds and blankets, then read each one for more details! This bed from Teton Dog includes an amazing orthopedic insert perfect for an aging dog, but the cover is why it makes our list of the best hypoallergenic dog beds! It is really a great cover that is not only allergen-free and washable but also waterproof, so nothing soaks through to the bed itself. The Nano-Pore waterproofing barrier never wears off because it’s not sprayed on. It’s actually part of the fabric itself! That means you can wash it a million times and it will STILL be waterproof! The bed is also guaranteed to stay fluffy and never flatten. It also doesn’t emit fumes the way some memory foam beds can. 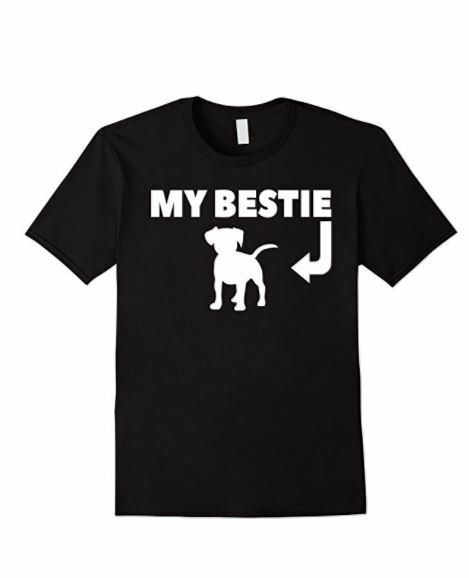 I love that it comes in several sizes to accommodate both large and small breed dogs! If you’re looking for a simple hypoallergenic bedding for your dog that you can take pretty much anywhere, the Unreal Lamskin Synthetic Fleece bed is a good choice. I love that it’s not only non-allergenic, but also stain resistant. It’s small enough to fit right into your dog’s crate, yet thick enough for them to feel comfortable. The soft fabric blend creates a wonderful luxurious feel for your pet to sleep on. Just watch out! If you have kitties, they may try to compete with your dog for a place on this comfy bed due to the soft material. The bed comes in four sizes, starting at 18×24 for small dogs all the way up to 36×50 for larger breeds. 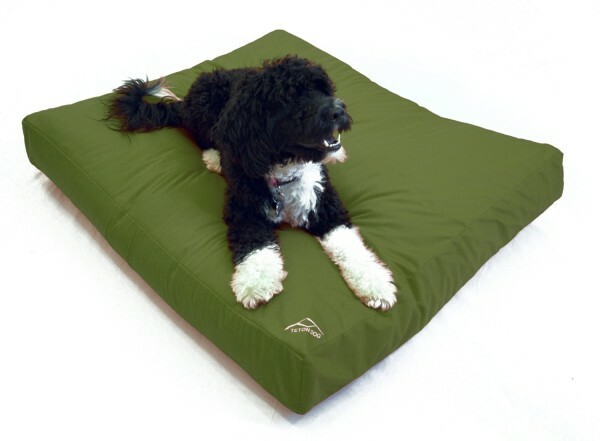 The Laifug Solid Memory Foam Orthopedic Dog Bed is one of my favorite hypoallergenic dog beds! It’s so luxurious that I kind of want to climb on and take a nap next to my pooch! The 2-inch thick foam features more than 45DHI, which makes it a great choice for aging dogs with arthritis. 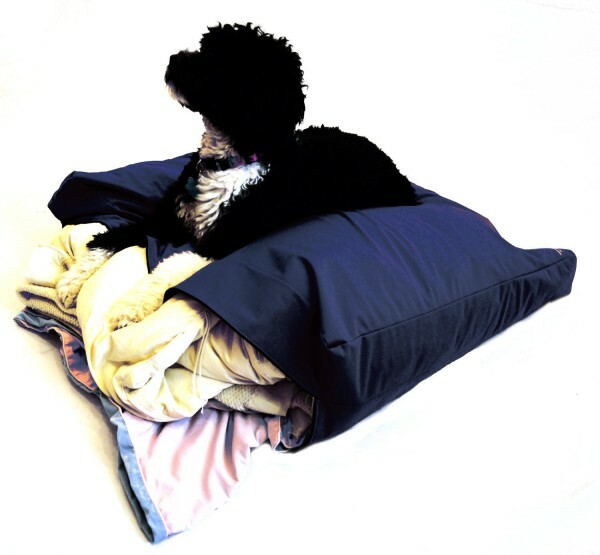 The waterproof liner protects the dog bed from spills and other liquids, while the soft cover is removable and washable. Large and great quality it is an investment that is safe and effective for their comfort. This is a great choice for a larger dog that needs extra support for aging joints. It comes in two generous sizes, including 34x22x4 and 46x28x4 (the 4 in both cases is the thickness). The BuddyRest dog beds for allergy sufferers are among the highest-rated beds for elderly dogs, too. They come in a few different styles and sizes ranging from just under $200 to a little over $500. Vet-recommended to promote better joint health in dogs. Made with high-tech fabric that stays clean, doesn’t get stinky, and rarely needs to be washed. They’re even chew-resistant and guaranteed to last ten years. Plus, they’re made in the USA! Read also our guide: Buddyrest vs Big Barker Dog Bed Comparison: Which Is Best? Find them all here on Amazon. 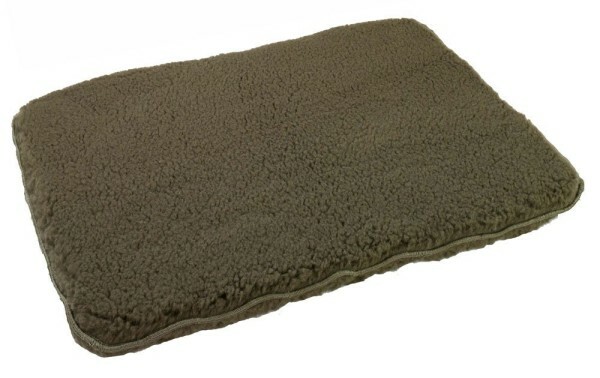 If you’re looking for dust mite free dog beds, you’ll love the Brindle! This dog bed is naturally hypoallergenic and repels dust mites. It is soft, comfortable and perfect for any dog since it comes in small, medium and large sizes. Not only that, but it also comes in three different colors, so it fits into your décor beautifully! The washable cover on this anti dust mite dog bed is great for cleaning up messes and removing pet hair, making it one of the best beds for allergy suffers. This is a great quality hypoallergenic dog bed that is reasonably priced to suit any budget. Add a nice anti-allergy dog blanket over top to really bring the luxury home! If you have a decent amount of money to play with and want to invest in a bed that will last a really long time, the Fireside Hound premium handmade dog beds is a good way to go! While they’re definitely the priciest on the list, they may be worth it. They’re not only dust mite free dog beds, but they also repel water & mud to prevent mold and mildew. They’re even tear and puncture resistant and easy to clean! Fireside Hound dog beds come in two sizes: large (30×40) and extra large (36×50). Want to DIY your own allergy-free dog beds? Grab this great hypoallergenic cover from Teton Dog! You can stuff with anything from pillows to blankets to create your own dog bed. This might be the perfect solution for a frugal family that has blankets or pillows that would work to build a simple bed for their dog. I love it because it comes in so many sizes and styles to accommodate all dogs and décor! Like the first bed on this list, it’s made with 100% Waterproof Nanopore fabric that never wears off. It’s also made in the USA. If you want to stuff it with a hypoallergenic dog blanket to go the extra mile, Teton also makes one of those in multiple sizes and colors! It doesn’t make sense to buy the perfect hypoallergenic dog bed only to toss a non-allergy-friendly blanket on top of it! Cotton- my #1 choice because it’s not just soft and cozy, but affordable too! Look for tighter weaves that leave less room for dust mites to move into! Wool- I thought wool would be at the bottom of the list because it just seems like it would trap dust mites. Guess what, though? I was wrong! Turns out wool repels mites. Look for genuine sheep and/or alpaca wool. Silk- Silk is a great hypoallergenic fabric, but it’s last on my list because of the price. I don’t know about you, but I don’t even have silk blankets! Need more specific ideas? Check out these anti-allergy dog blankets! Here’s a secret: most of them are actually people blankets! 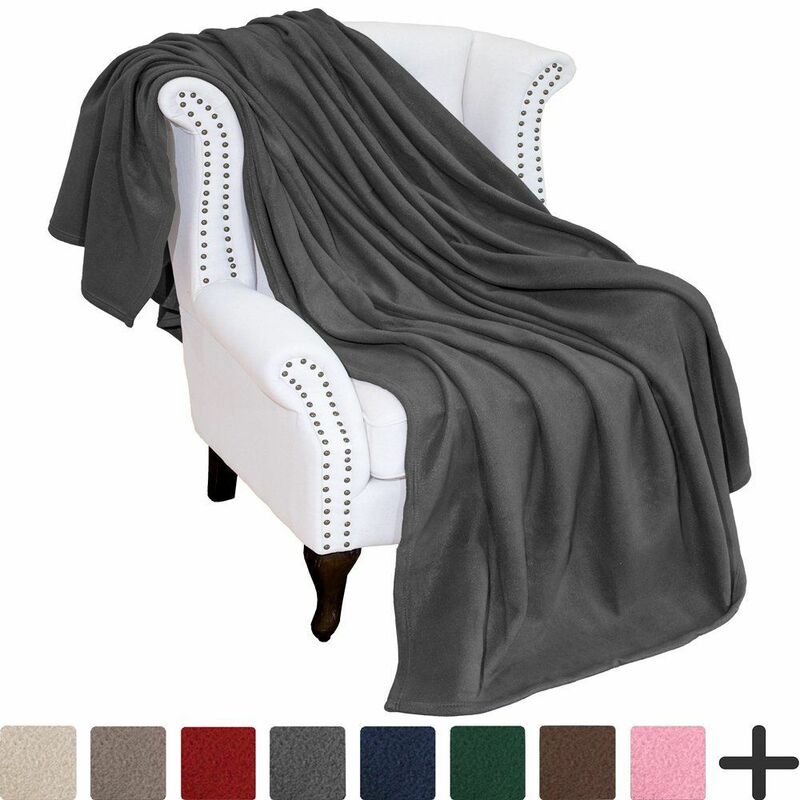 This cozy blanket comes in 10 different colors and is big enough for even the largest hypoallergenic dog beds. At under $20, it’s also super affordable. 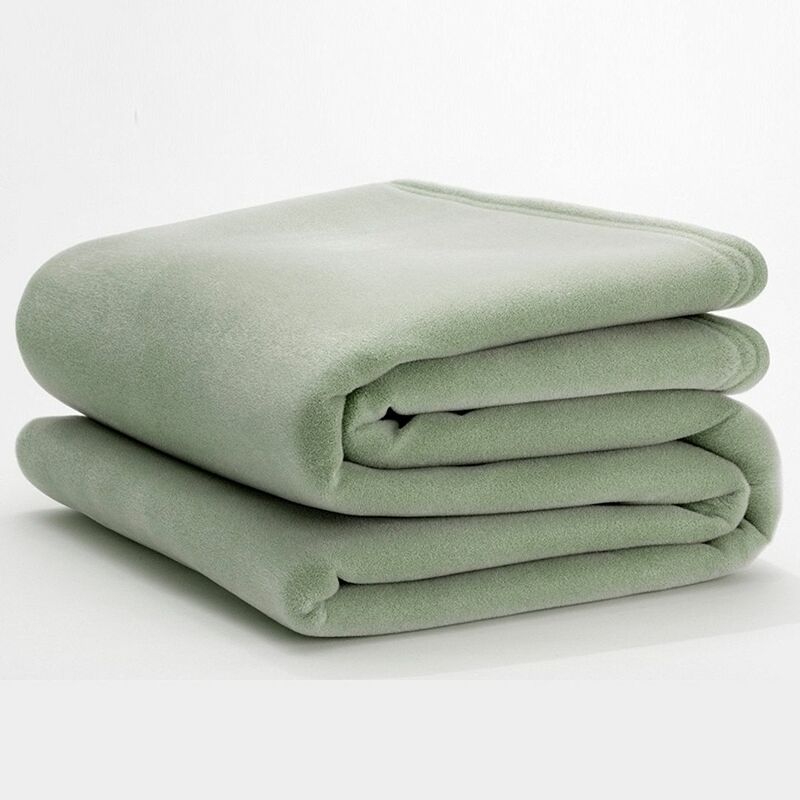 This super soft hypoallergenic blanket comes in 9 different colors and three sizes (twin, queen, and king), so it’s easy to pick the perfect size for your dog’s bed. It even gets softer with each washing! Believe it or not, one of the most popular allergy medicine companies also makes a blanket! While this too is a people blanket, there’s no reason why you can’t use it on your dog’s bed. It’s a bit pricier than the others on this list, but it may be worth it. 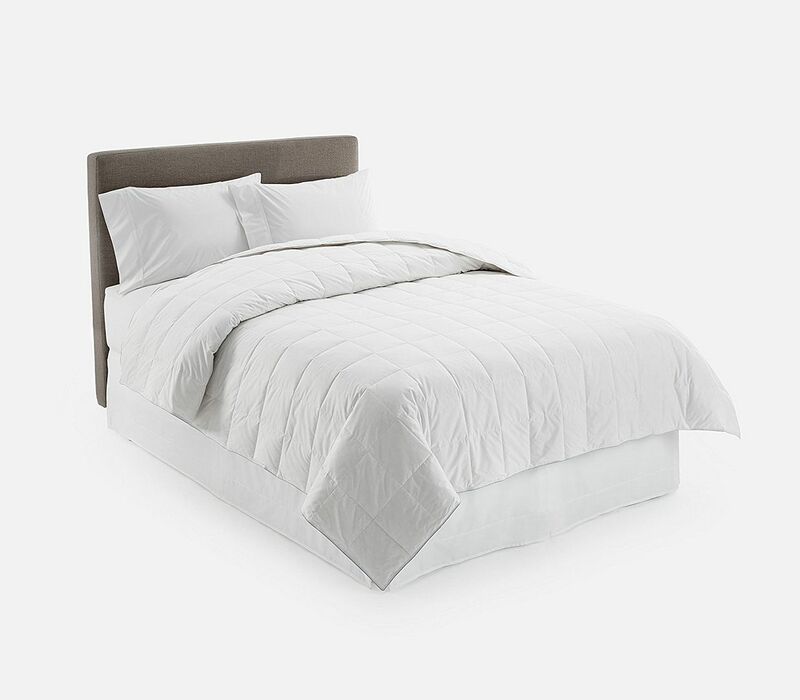 The Claritin blanket is dust-mite free and provides protection against dander & pollen. It has a lifetime warranty and comes in three sizes. These best hypoallergenic dog beds are going to keep your dog happy and resting easy at night. Not only are they all washable, they all come with great naturally hypoallergenic covers. Not only will you not have to worry as much about pet allergies, you won’t have to worry about those dust mites getting to them either. These are great choices for pampering your pet! Do you have any favorite picks for the best hypoallergenic dog beds or beddings? Tell us about them in the comments!